PRINTABLE Sign | Bottoms Up! 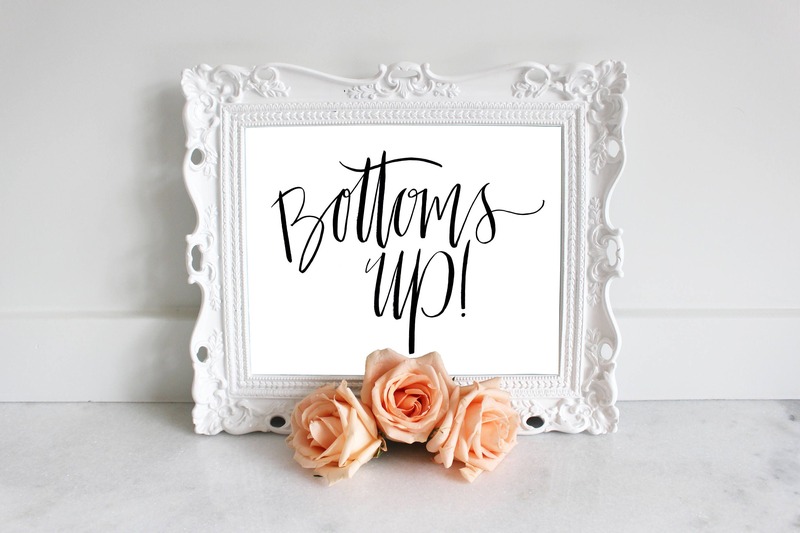 This 'Bottoms Up' 10inx8in print is the perfect addition to party! Frame it up by your beverage station for a festive & fun touch! Ideal for weddings, showers, bachelorette parties & more!